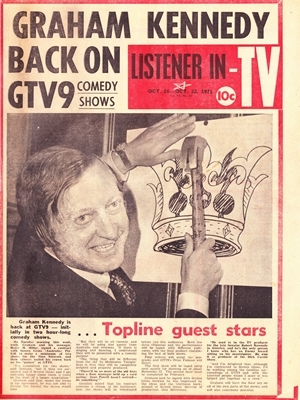 It is 30 years ago this week that Melbourne’s TV Scene ceased publication after 62 years. 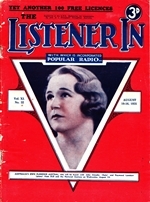 It began as a radio magazine, Listener In, in 1925. 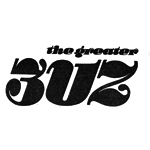 By 1937 it had converted to a newspaper format. 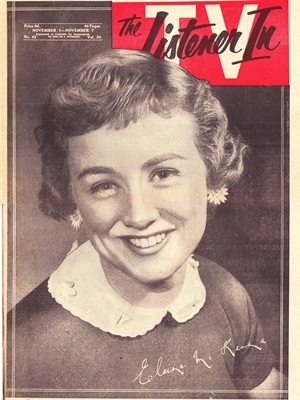 With television arriving in 1956, the Listener In showed it was adapting with the times… by adding “TV” to the title. 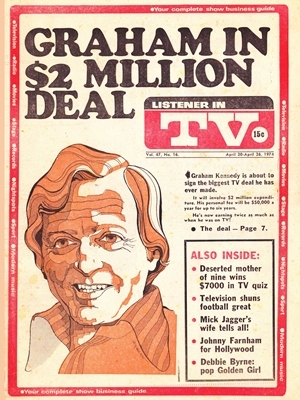 As part of the Herald and Weekly Times (HWT) group, Listener In-TV had a natural affinity to the company’s new television station, HSV7, but was not to ignore Melbourne’s other TV channels, though they may not have always been given the same prominence in coverage. 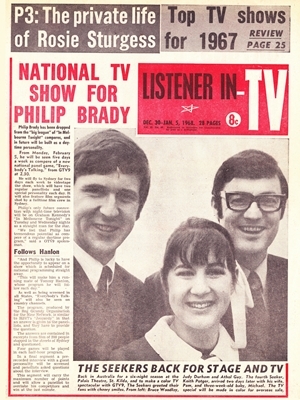 Listener In-TV would continue to breathlessly cover the local and national showbiz industry and all the celebrity news — with the headlines often dominated by Melbourne’s showbiz elite. 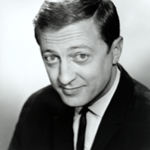 People like Graham Kennedy, Bert and Patti Newton, Don Lane, Bill Collins, Mary Hardy, Denise Drysdale and Ernie Sigley were rarely far from the front page. 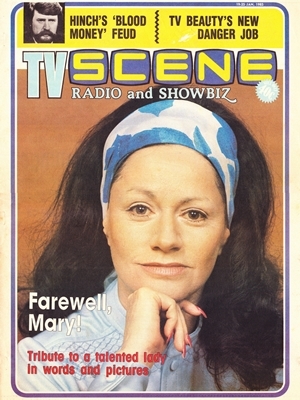 By 1976 the name had been changed to Scene and the cover pages were now in full colour, with limited colour on the inside pages. 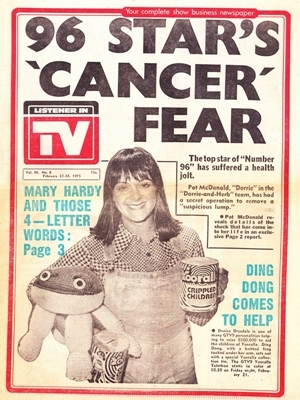 Being a newspaper format Scene inevitably found the going tough up against the glossy, though more expensive, TV Week. 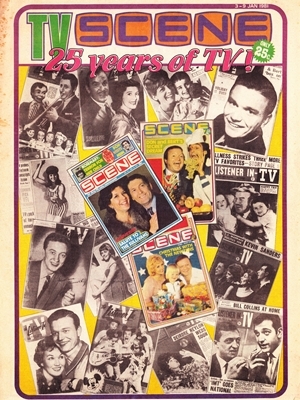 An attempt to revamp Scene as TV Scene, with a glossy cover but maintaining the newspaper format, in the mid-1980s failed to achieve any significant growth. 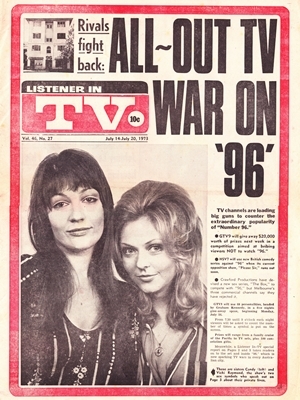 While TV Week was hitting circulation highs of 800,000 nationally during the 1980s, TV Scene with its more conservative and ageing readership was declining — a situation not helped by the growing trend of newspapers publishing their own weekly TV listings. 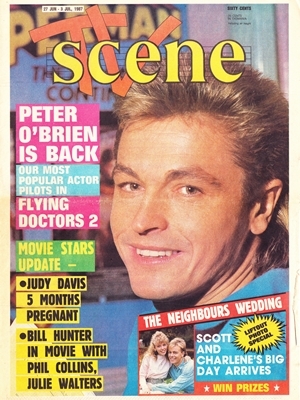 By 1987, weekly sales of TV Scene had fallen to around 60,000. 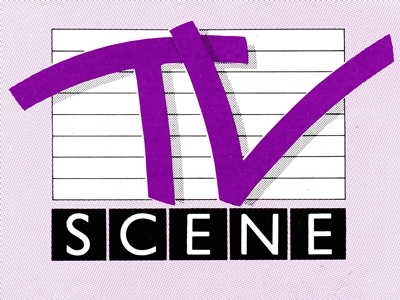 The media takeover frenzy that engulfed various radio, television and print media assets at the time saw TV Scene move from HWT to the ownership of Southdown Press, publishers of TV Week. 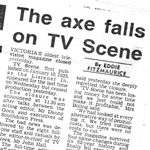 Southdown had endeavoured to maintain TV Scene and made budget cuts where possible but found it was unsustainable. 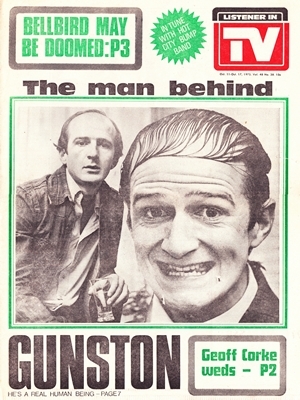 The day after the edition dated 27 June 1987 hit the newsstands, Southdown Press made the decision to wind up the 62-year-old publication. 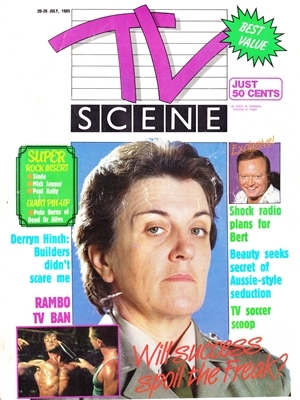 TV Scene’s remaining full-time staff were transferred to TV Week and the title was given a farewell with a two-page pictorial in the centre pages of The Sun newspaper at the end of the week. 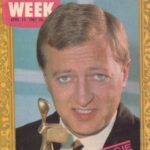 Thanks for this great article which I enjoyed very much. 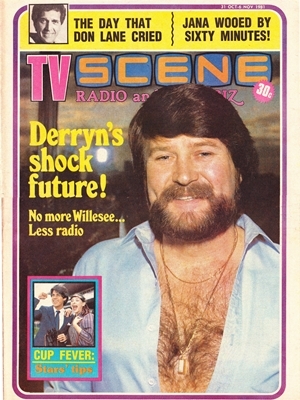 “TV Scene” first came to my attention in 1976, when the whole ABBA thing exploded. 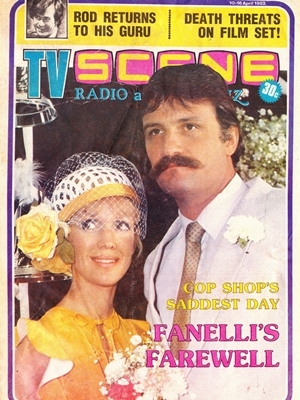 I was besotted with them (ABBA) and TV Scene featured them regularly. 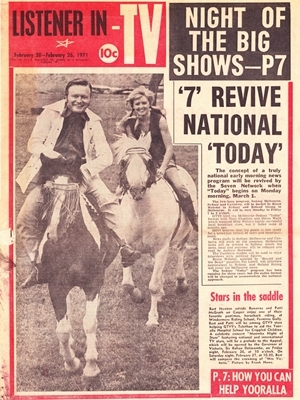 ABBA were on the cover of it 4 times and additionally there were many posters and articles throughout 1976 and 1977. 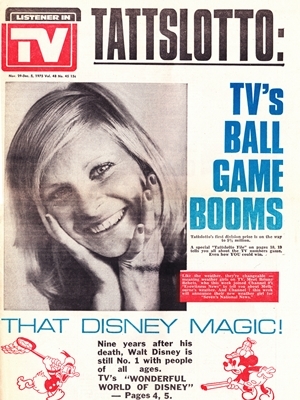 The most amazing thing about this is that at a time when every Australian magazine was clamouring for new pictures posters and articles about ABBA (because having them on the cover or inside the publication sent sales through the roof), TV Scene somehow managed to get hold of some of the most rare and obscure photos of them which didn’t appear in any other publication, not TV Week (6 ABBA covers and heaps of posters), not TV Times (4 ABBA covers and heaps of posters), not Spunky!, none of the women’s mags (which were also all full of ABBA), even the daily newspapers had ABBA articles as often as possible…it was insane, yet somehow this small Victoria-only publication managed to get all these exclusive ABBA photo’s and interviews which none of the “big guns” ever got. 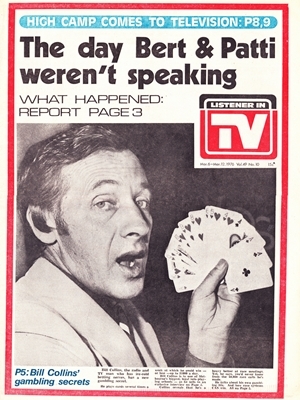 To this day I wonder how they did it. 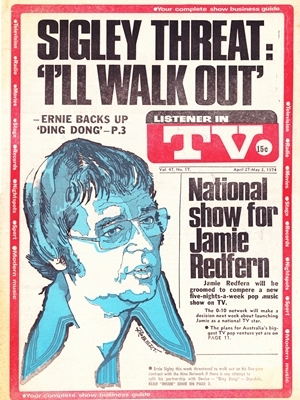 Those ABBA issues of TV Scene are worth a fortune now, and very, very rare to find complete. 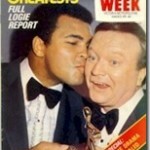 They are part of my collection and I treasure them. Great to read your comments Luke. 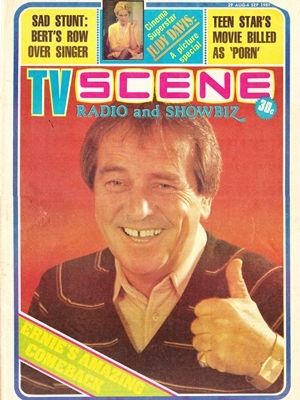 Pleased I’m not the only one who remembers TV Scene.